Create Ts and Cs works with businesses to ensure that they communicate clearly to their clients and avoid potential disputes. We do this by drafting bespoke terms and conditions as well as commercial contracts in order to protect businesses and encourage growth. We can also help businesses prepare to comply with the upcoming General Data Protection Regulation. Got any concerns or queries regarding contracts, terms and conditions or GDPR compliance? 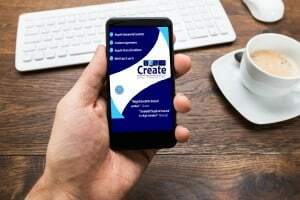 Don’t hesitate to get in touch by emailing us at hello@createtsandcs.com or call us on 0121 272 2444 or 0141 465 7077. With the GDPR coming into force in May 2018, we can help prepare your business and act as your virtual data protection officer (DPO) by reviewing your current data, terms and conditions and contracts. In the event of a data breach, we can also store your data as well as provide support gap analysis (along with the collected information outlining the efforts made to be compliant). Don’t hesitate to get in touch to discuss this in more details. We can help your business set up a solid framework of terms and conditions that give your clients (businesses and individuals alike) peace of mind when working with you. We can cover all types of terms and conditions, including B2B, website, app, intellectual property license and IT/Software. Contracts are an essential part of doing business and it’s crucial to get them right. We can help you review existing contracts as well as drafting new ones. 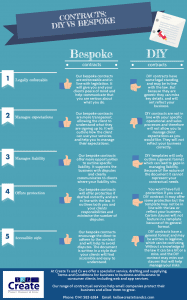 A few examples of the type of contracts we can work on include reseller, contractor, freelance and affiliate. Want to know more about how we could help protect and grow your business? Get in touch! We help our clients save money in the medium and long term by drafting bespoke terms and conditions as well as issuing the correct paperwork, helping them to communicate clearly with their potential clients and avoid unnecessary disputes. As our client’s business matures, we also offer training and on-going support with client issues and contract queries. - Confident about what the contract is saying, they are aware of the content and its value to them. - Professional about their approach to doing business, they have the right paperwork and are aware that their customers and their competitors view them as both credible and capable. - Peace of mind with regards to being aware of the content in the contract, to know how a customer will use their services, and the knowledge the contract is fair and enforceable. If you’d like to speak with us call 0141 465 7077 or 0121 272 2444 to discuss your contractual requirements or contact us by email for further information.